I had really high hopes for this one since I enjoyed Limbo so much and Vermont has a pretty good reputation for DIPAs in 16 oz cans. Love the can design on this one. The beer pours a super clear copper color with a thick white head. Aroma was a mix of tropical fruits and a bit of pine. Overall the aroma was not as big as I expected from an 8.7% DIPA. Taste was just OK with those tropical fruits and pine but also a solid malt backbone and big lingering bitterness. Much more of a traditional IPA just bigger and different than so many of the murky, juice bombs that are out there today. Alcohol was well hidden and overall a beer worth trying but not one that I will seek out again. 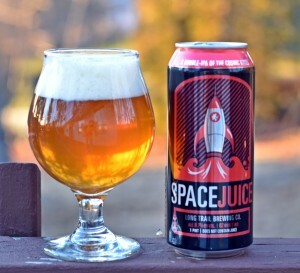 Brewer’s Description: A Double-IPA of the cosmic kind, this super-limited offering is brewed with two-row and caramel malts that lay the foundation for hops, hops and more hops. 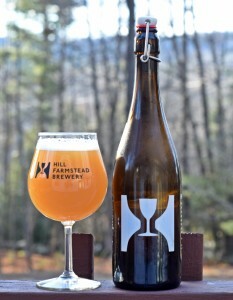 Hill Farmstead made this beer as part of their 5th anniversary celebration. They took Ephraim, one of my all time favorite beers, and aged it in second and third use bourbon barrels. Those of you that follow me know I am not big on bourbon barrel aged beers but I had to try this one. Madness & Solitude pours a burnt orange with a wispy white head that dissipates quickly. Aroma was quite a bit different than Ephraim with a lot of oak and vanilla coming through with muted hops and a fair amount of booze. 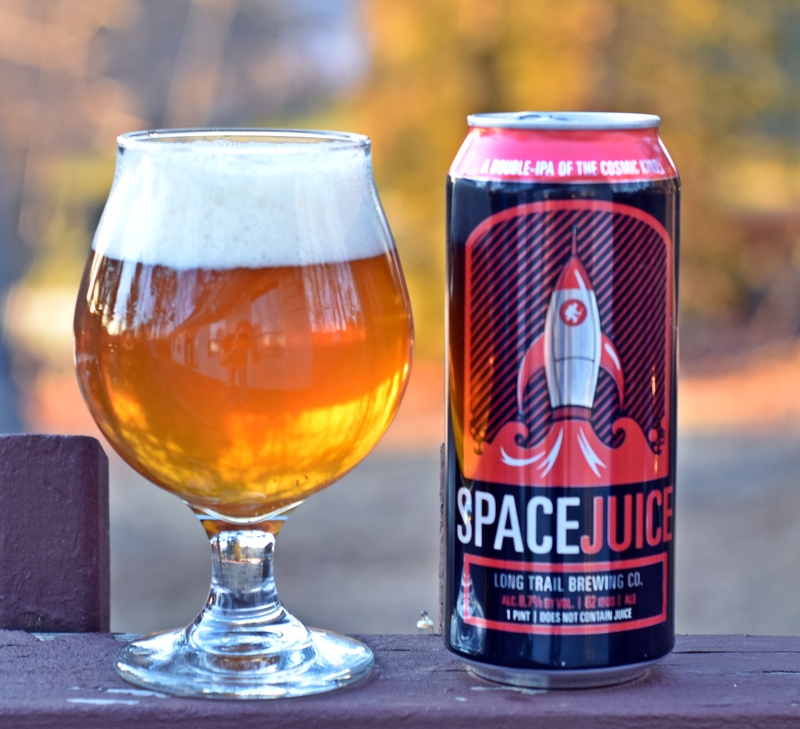 Upon the first sip, and I do mean sip as this is a BIG beer, you get big oak flavors, vanilla and some of those citrus hops that I love so much. The finish is boozy and seemed to be full of bourbon but that may just be my over sensitive palate since I don’t drink bourbon and rarely drink bourbon barrel aged beers. The same thing often happens when I drink a coffee beer, all I can taste is coffee. I enjoyed this beer and drank two 750s over a weekend, not in the same night, but I would have preferred straight up Ephraim without the bourbon barrel aging. Interesting and I’m glad I got to try it as we may not see it again. 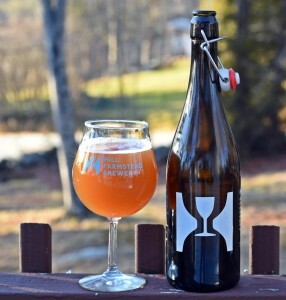 Brewer’s Description: In March of 2015 (our Fifth Anniversary), we brewed our Imperial IPA (Ephraim) and then aged it in second and third use bourbon barrels with the intent of an experimental anniversary release. In the spirit of the holidays, we offer you this double dry hopped, oak aged Imperial IPA. 10.5% abv. 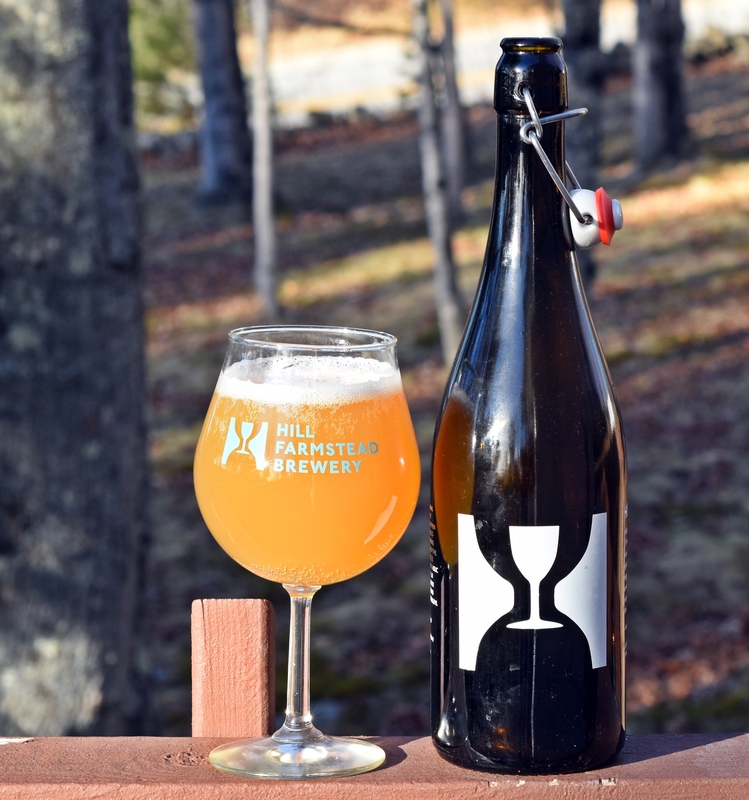 I travel to Vermont often and for the past couple of years we have made the trip out for Hill Farmstead’s Festival of Farmhouse Ales a two day trip spending the night in Montpelier on Friday and then heading to Hill on Saturday for the event. Each time we spent a significant amount of time (and money) at Three Penny Taproom eating and drinking some great beer. The highlight of this years trip to Three Penny was The Wind from Lost Nation. Before going to Three Penny I had no idea this beer even existed but after having it I knew I had to find some bottles. Fortunately a few months later Lost Nation released another batch and I made a point to visit the brewery to grab some bottles. For those that don’t know The Wind is Lost Nation’s Gose dry hopped with Citra and grapefruit added. Their Gose is excellent by itself but add some more hops and grapefruit and it makes it even better. 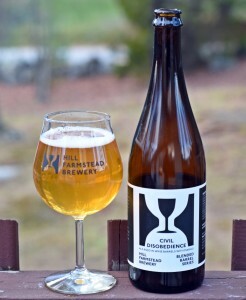 Appearance is a pale yellow with a thick white head that disappeared quickly leaving a small rim around the glass, pretty typical of the gose style. Aroma give you a nice mix of citrus and grapefruit, no real surprise there. The Citra hops are essentially lost in the flavor leaving a tasty gose with plenty of grapefruit. Carbonation is low but seems intentional. This beer is every bit as refreshing as the original Gose and bit more flavorful with the grapefruit coming through nicely. Excellent beer and if someone out there happens to have the Brett version of this beer let me know as I would really like to try it. Brewers Description: Introducing our latest bottled beer, The Wind. 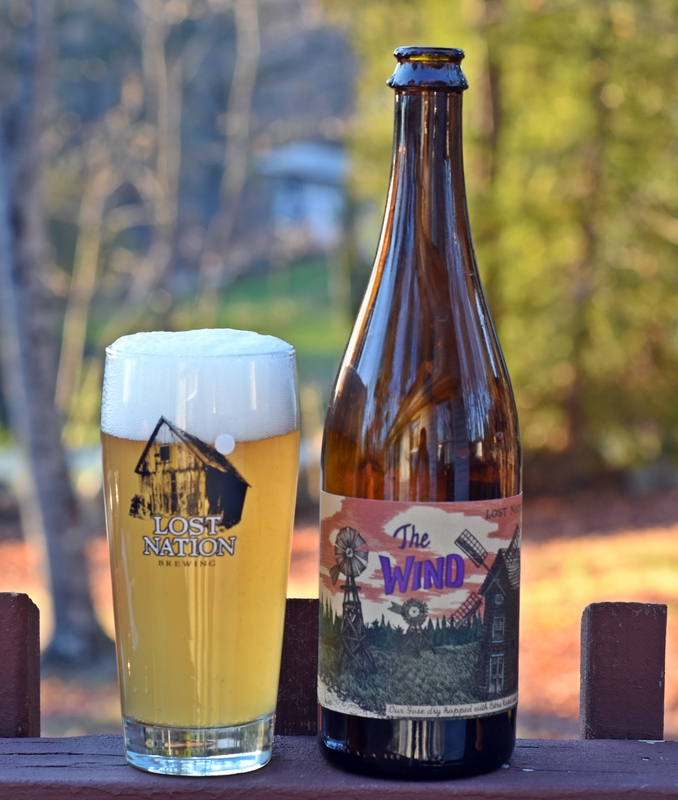 The Wind is our classic Gose dry hopped with Citra hops and grapefruit. Some of you may have had this beer in the past as a cask beer. Well we liked it so much that we figured out how to bottle it. Pilsners are often overlooked in the craft beer world but there are a few good ones out there with my favorite being Banded Horn’s Pepperell Pilsner. Lost Nation does a great job with their beers so when I came across a 4-pack of Vermont Pilsner I grabbed one to take home. 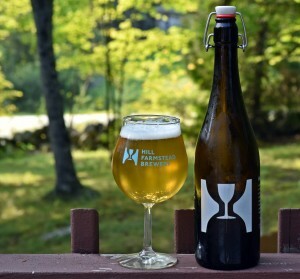 This beer is a crystal clear yellow with a very deep white head and plenty of carbonation. Aroma is entirely earthy with some crackery malts and some nice grassy hops. Taste is very similar to the nose with those same grassy hops, lightly sweet malt base and a very crisp and clean finish. 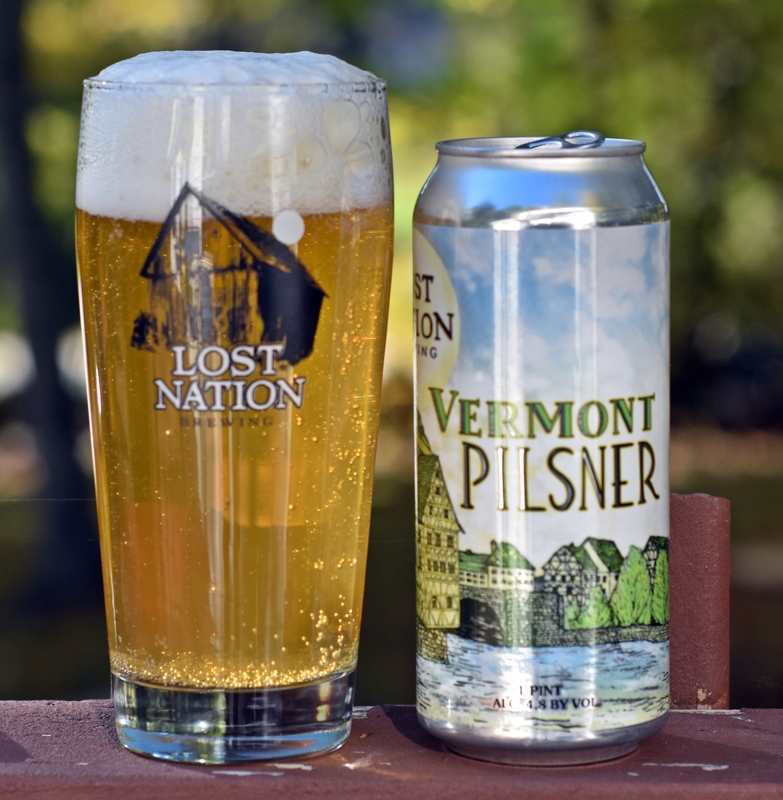 A solid craft pilsner that will not disappoint and could be enjoyed by craft beer drinkers as well as non-craft drinkers. 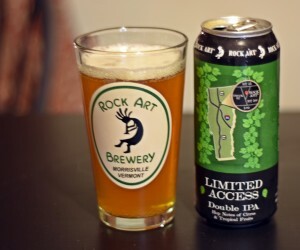 There are so many great breweries out there and Vermont seems to have a lot of them. Burlington Beer may not get as much attention as The Alchemist, Lawson’s or Hill Farmstead but Joe is making some truly unique beers in Williston. 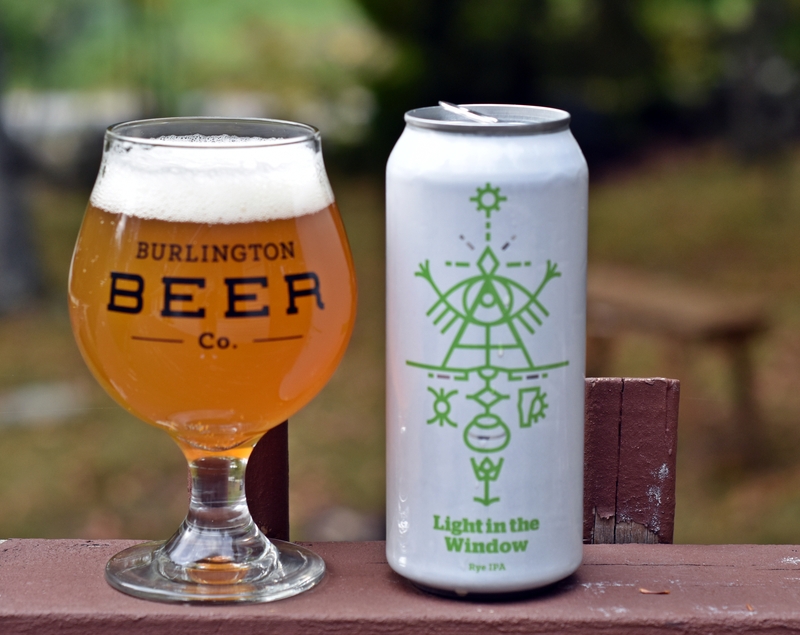 Yes Burlington Beer is not actually located in Burlington but in the town right next door Williston. Everything they do is just a little different making them one of my favorite breweries. 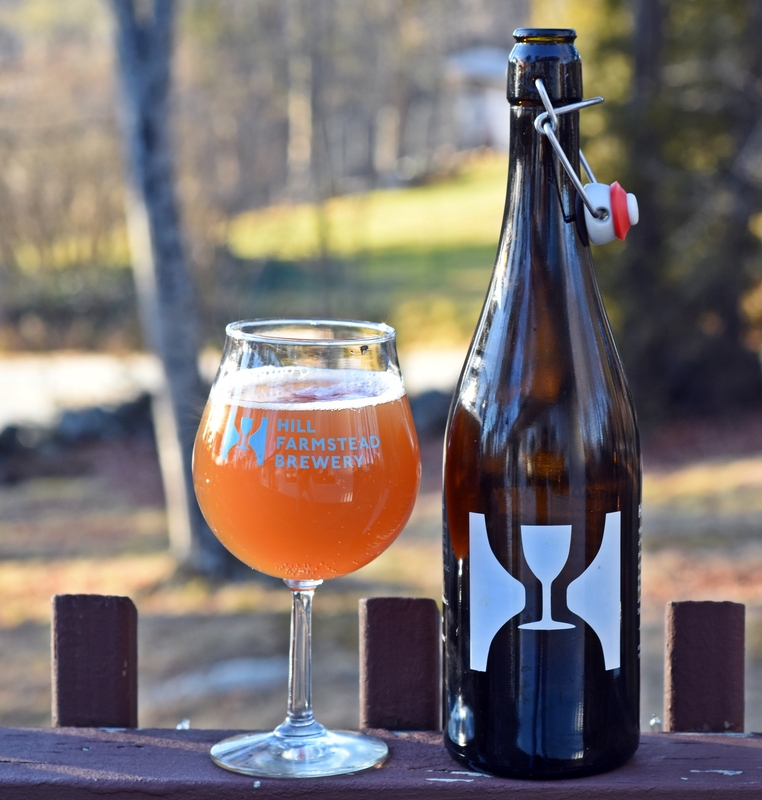 It’s Complicated Being a Wizard was the first IPA in a long time that was truly unique and you can check out their website to see the many other offerings from Burlington Beer including Strawberry Whale Cake and Bee Keeper. This beer is their Rye IPA which generally I am not a huge fan of but this one worked. Appearance is a slightly hazy burnt orange with a solid white head. Aroma has loads of floral, earthy hops and a bit of citrus and spice from the rye. The taste was very interesting and complex with some citrus, grapefruit but also a fair amount of peppery spice. Very earthy and the finish is dry and slightly bitter. All of this might sound like an odd mix of flavors but it works. Light in the Window is another unique offering from a very talented brewer. If you haven’t tried any of Joe’s beer yet let me know and I will bring some back on my next trip to Vermont. Brewers Description: A crispy Rye IPA brewed with barley and rye. Densely hopped and bursting with grapefruit hop flavors to compliment the soft and spicy nature of rye. We’ve balanced the soft malt profile with a fresh and aggressive hop flavor. I really enjoyed Hoponius Union from Jacks Abby so I have been on the lookout for more IPLs. 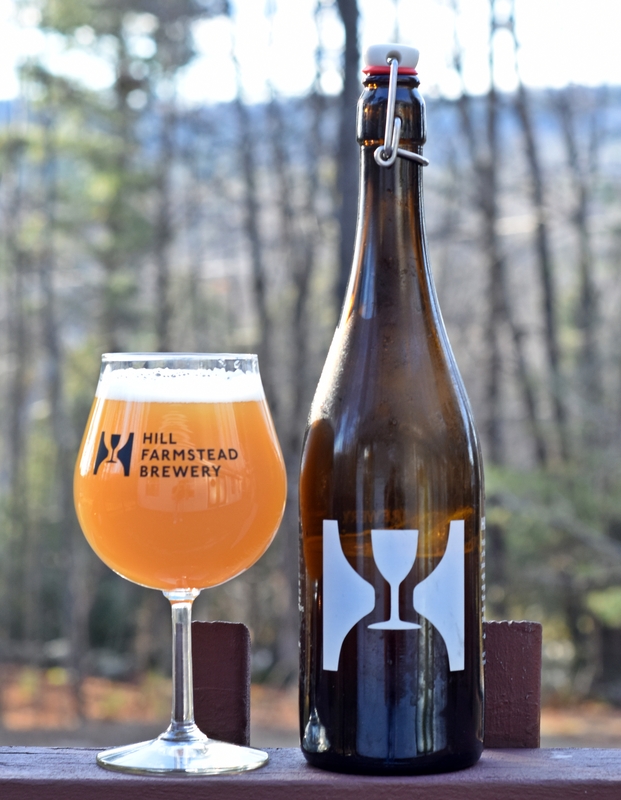 Hill Farmstead released Song of Joy in August and I grabbed a 750 on one of my many visits to Greensboro. 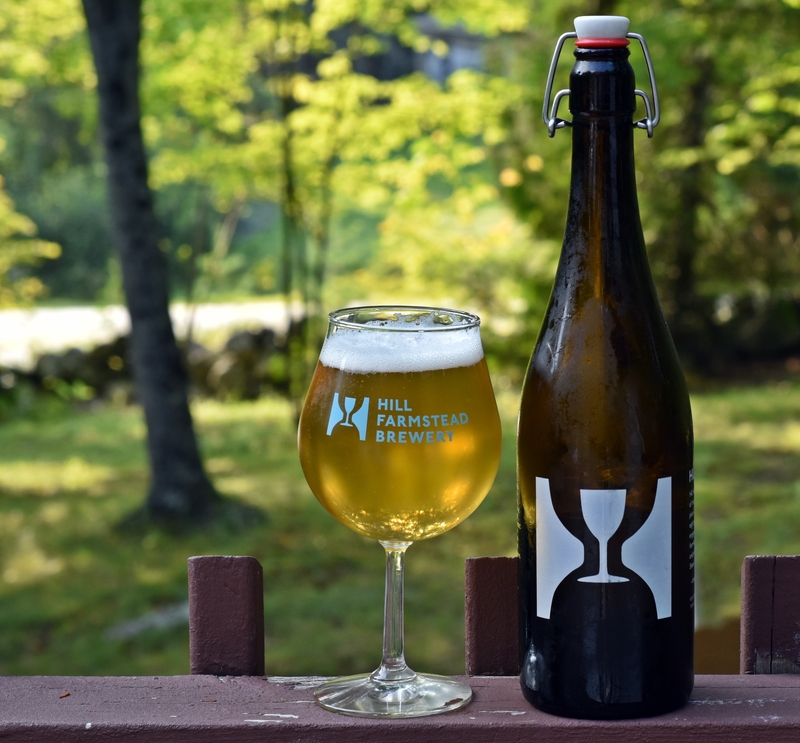 Unlike most of the beers from Hill Farmstead Song of Joy pours a super clean and clear pale yellow, as a lager should. Aroma is light with some nice pale malts and earthy hops, a bit of grapefruit as well but mostly herbal, grassy hops here. Taste is incredibly clean and bright with a nice lager start followed up with a fair amount of citrus, herbal and grassy hops. Only slightly bitter in the finish and very refreshing. Another excellent beer from Shaun Hill.